Variety reports The Academy was "blindsided" by Hart's abrupt decision to step down Thursday night. ABC and The Academy had no contingency plans. 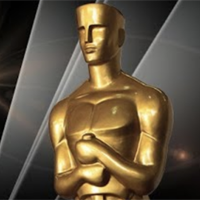 The Academy's Board of Governors are expected to meet Tuesday night to explore all options. Insiders tell Variety that one option being "tossed around" is to go without a host and have “a bunch of huge celebs, something SNL style, and buzzy people to throw to commercial." Variety also reports: "The Academy had hoped that Hart would apologize for a series of years-old homophobic tweets and show signs of genuine remorse, but would stop short of actually leaving the show, said another person close to the Hart exit. The group’s leadership did believe the comic needed to do a better job of addressing the jokes, which included tweets that made light of AIDS and offensive comments about the trans community." Does the Academy really want presenters doing lame jokes as their intros?